Catching lake trout and landlocked salmon requires you to think like a fish and fish like a guide. This video brings it all together. In Lakers and Landlocks, Fish and Game Department fisheries biologist Don Miller and noted New Hampshire guide Rick Forge team up to reveal secrets that will help you catch more fish. The last 100 of these videos(VHS Format) are now selling. They are signed and numbered. Order yours now while they last. These will not be duplicated again! 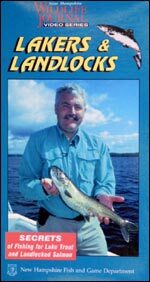 This is a real classic for any NH angler’s collection. If you are planning a western big game hunt this video is a must!! 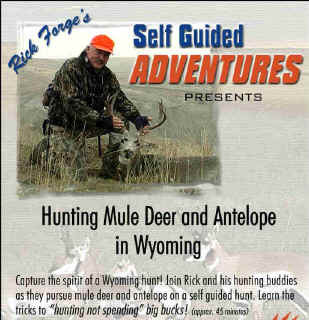 Join Rick and his group as they journey to Wyoming in search of Mule Deer and Antelope. You’ll “capture the spirit” of a true western hunt while being given the necessary information to make your trip a success. You will watch in excitement as we scout, stalk and harvest 6 animals on film. Learn how to be “your own guide”.